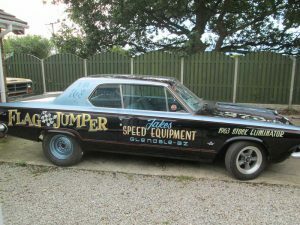 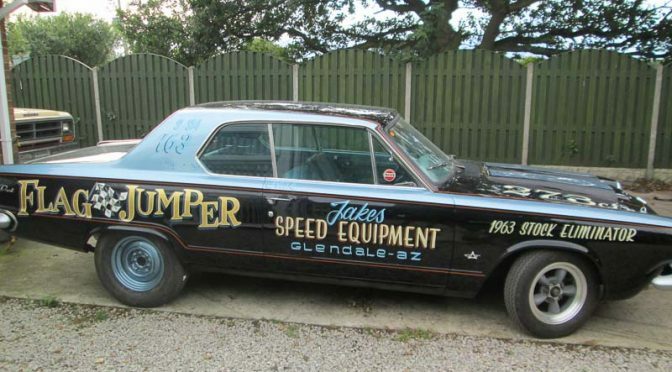 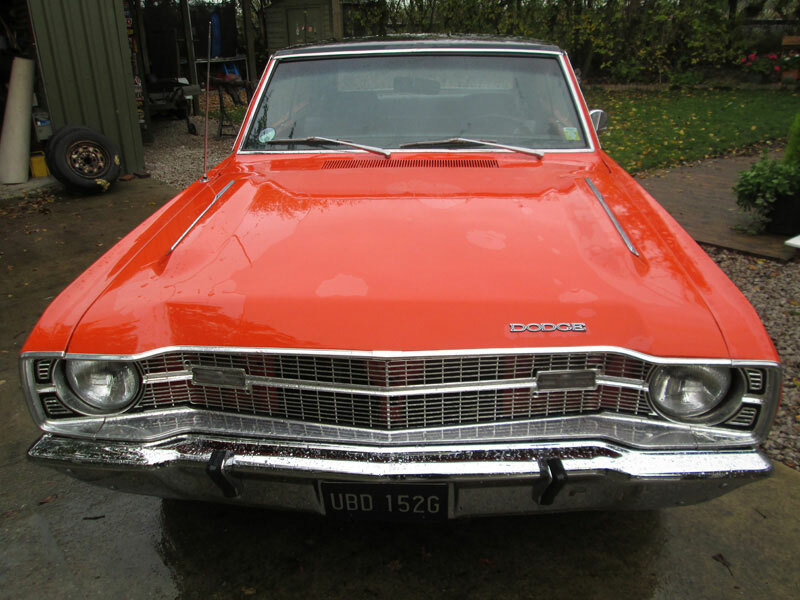 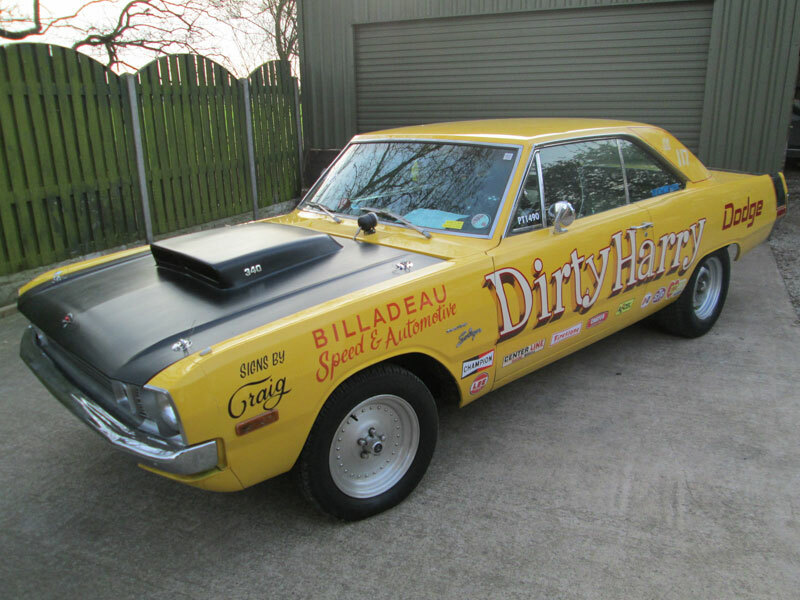 ‘Flag Jumper’ joins the Super Stock scene with a Craig Ainge & Billadeau period signwriting job. 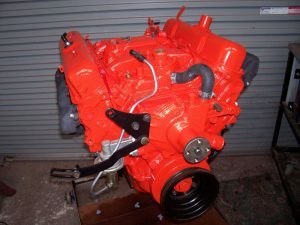 A 360ci motor has been purchased ready for a future upgrade. 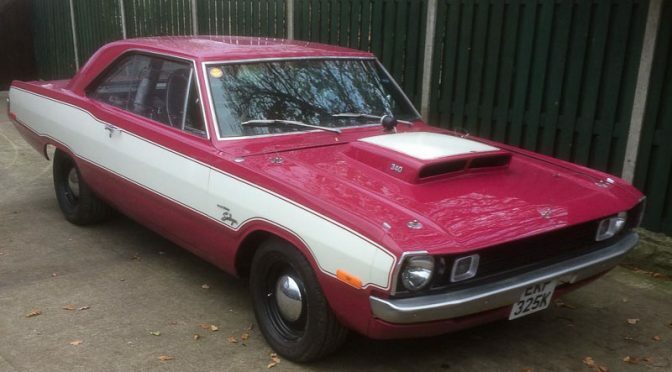 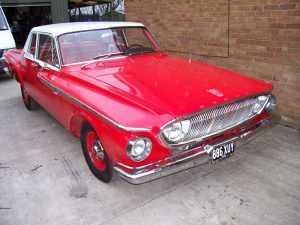 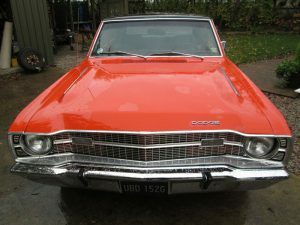 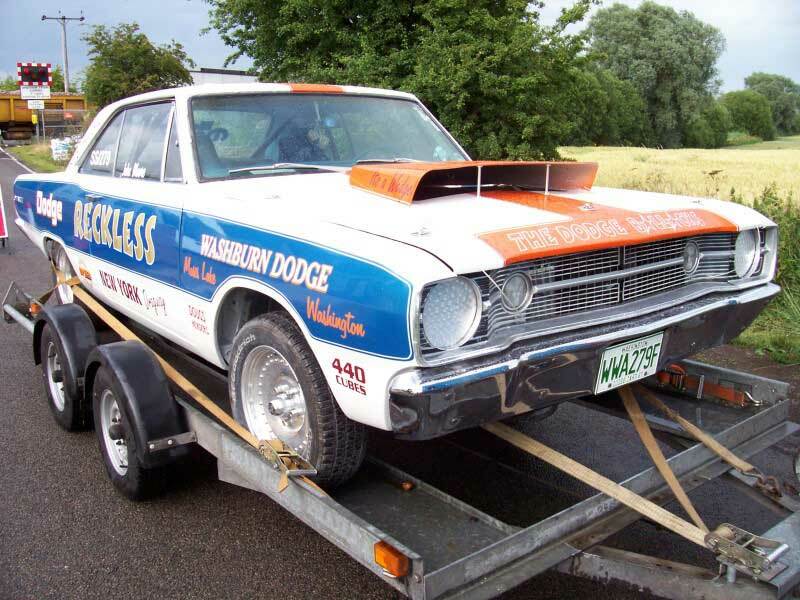 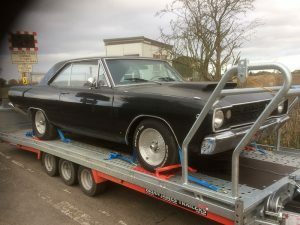 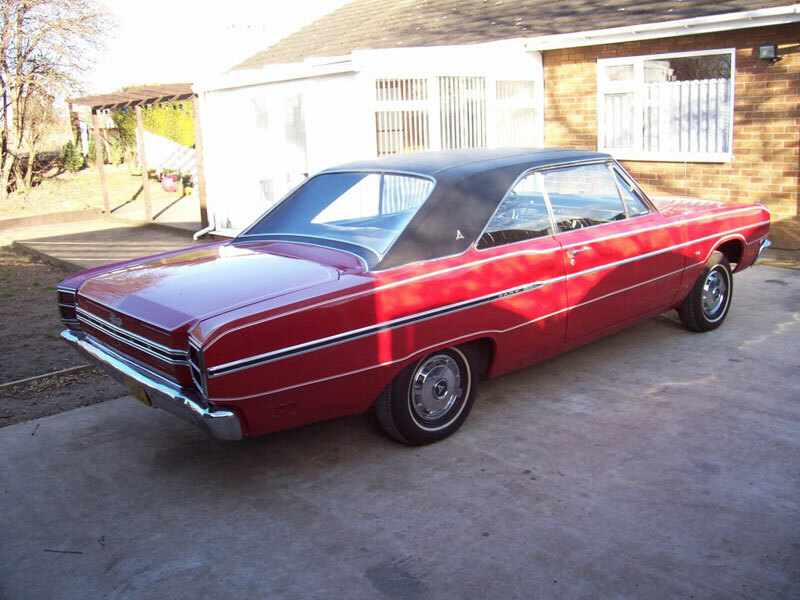 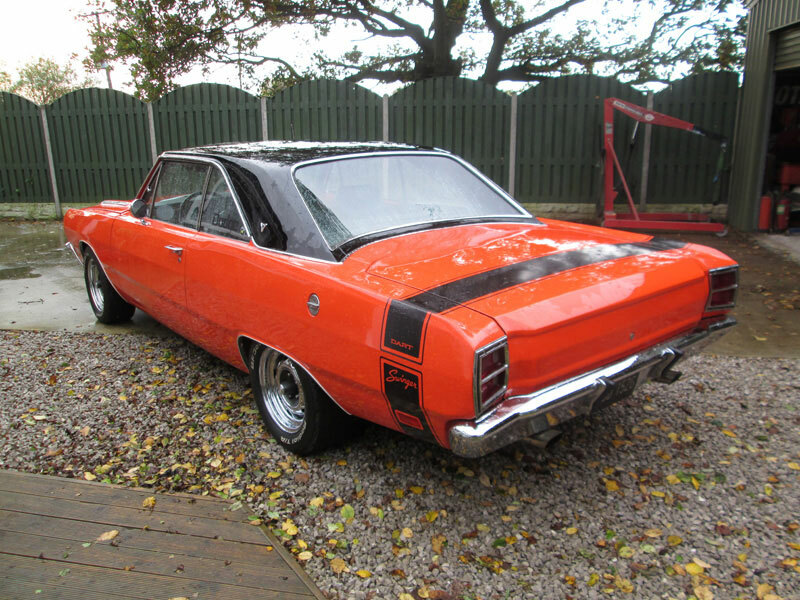 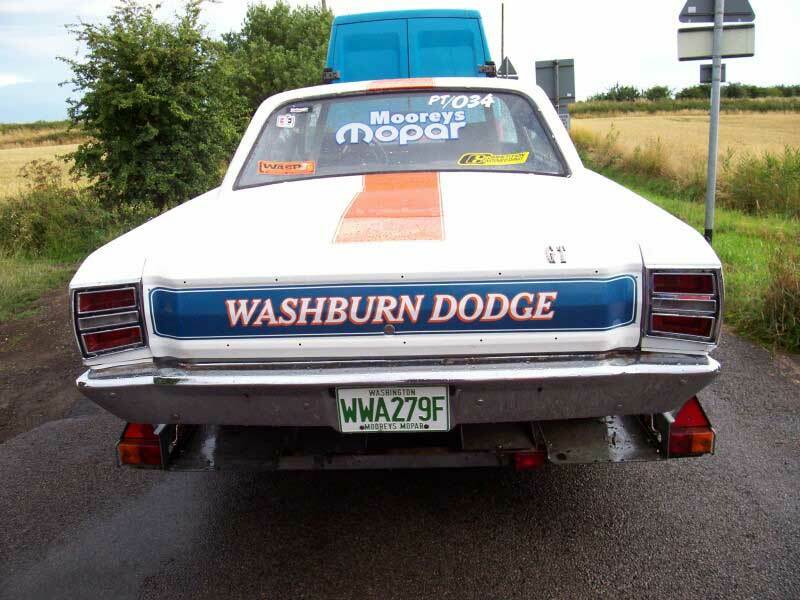 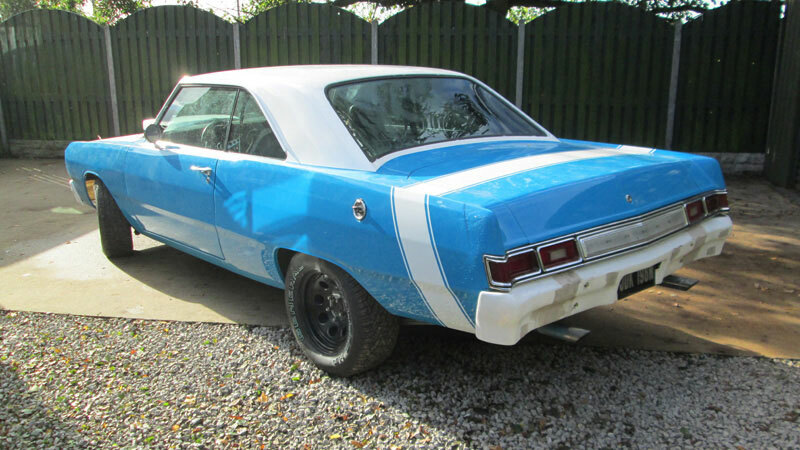 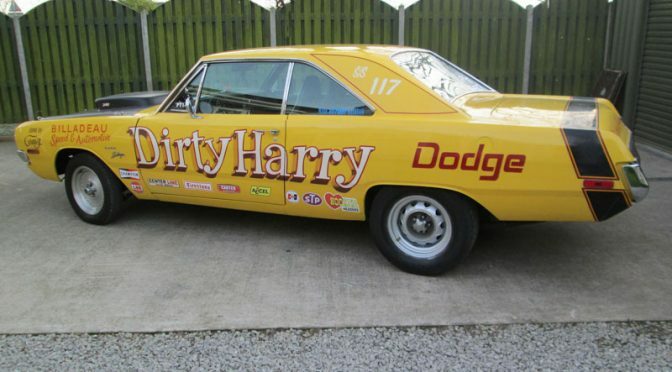 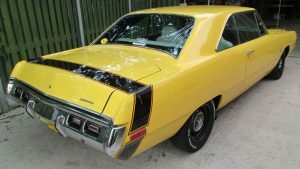 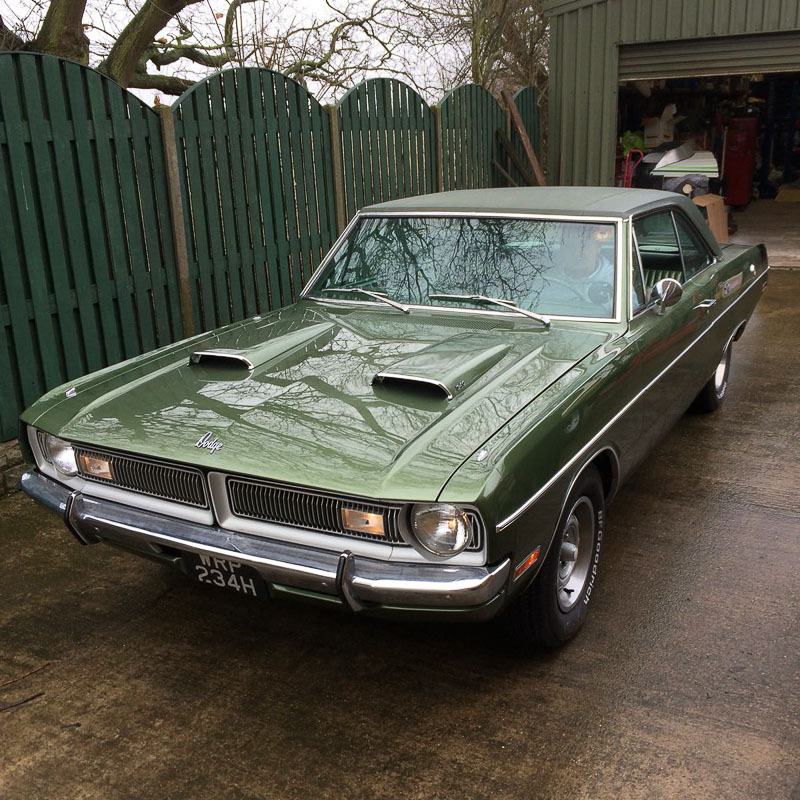 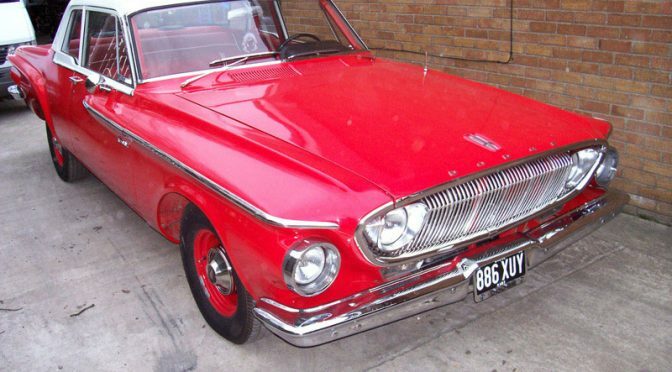 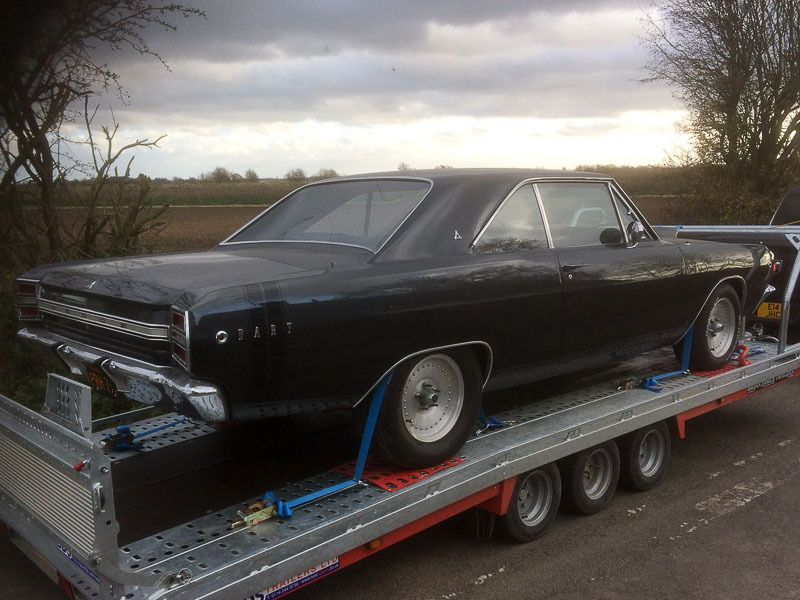 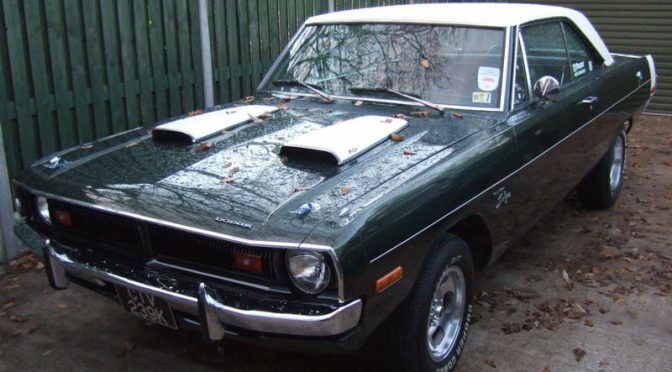 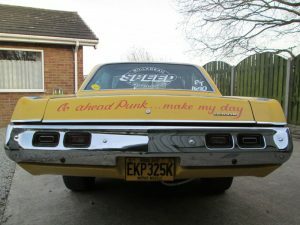 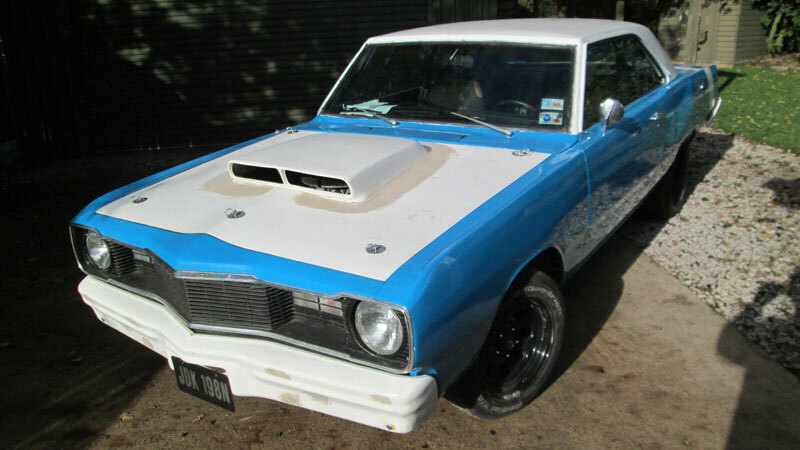 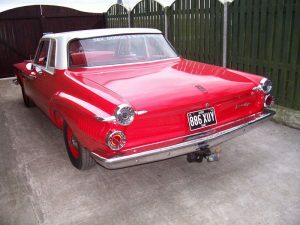 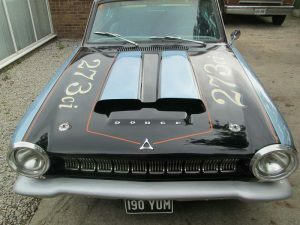 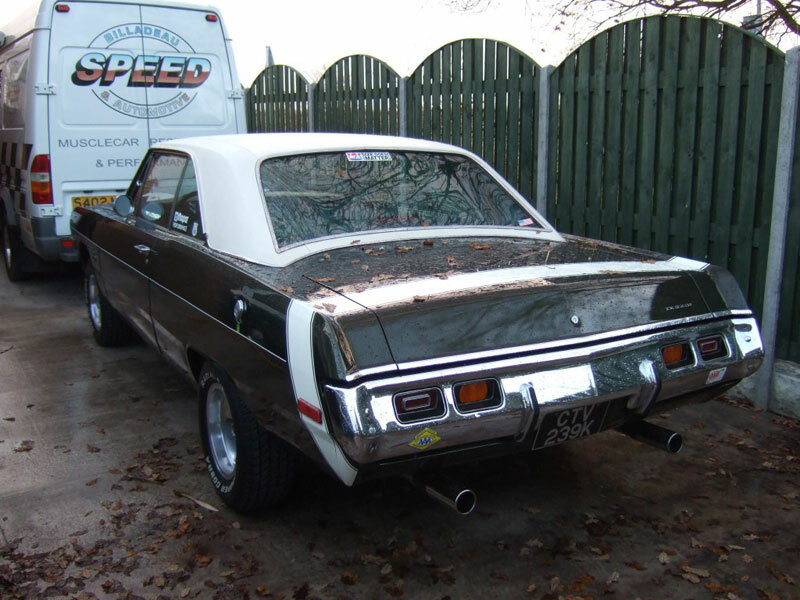 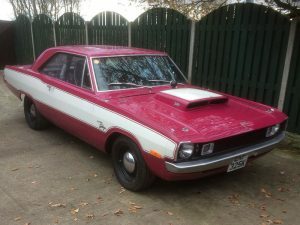 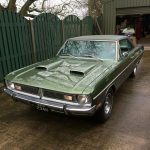 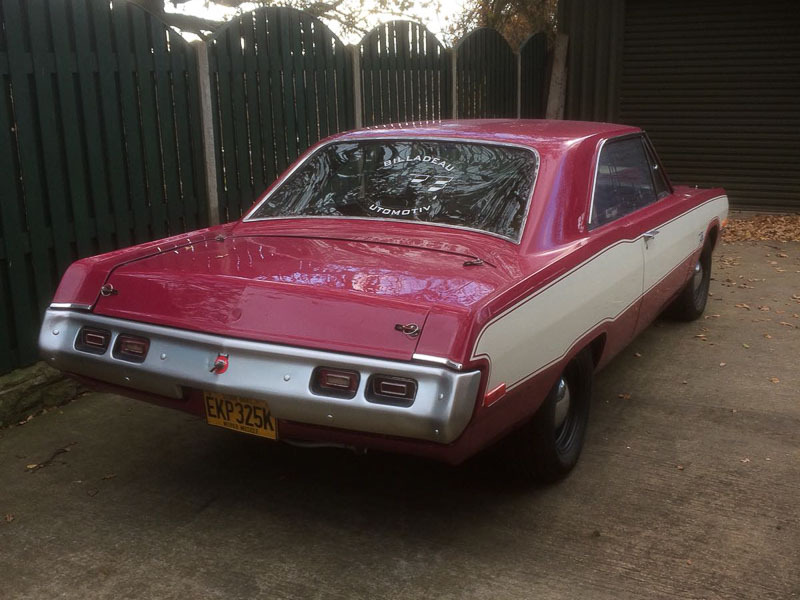 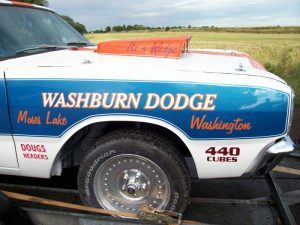 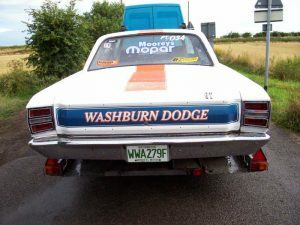 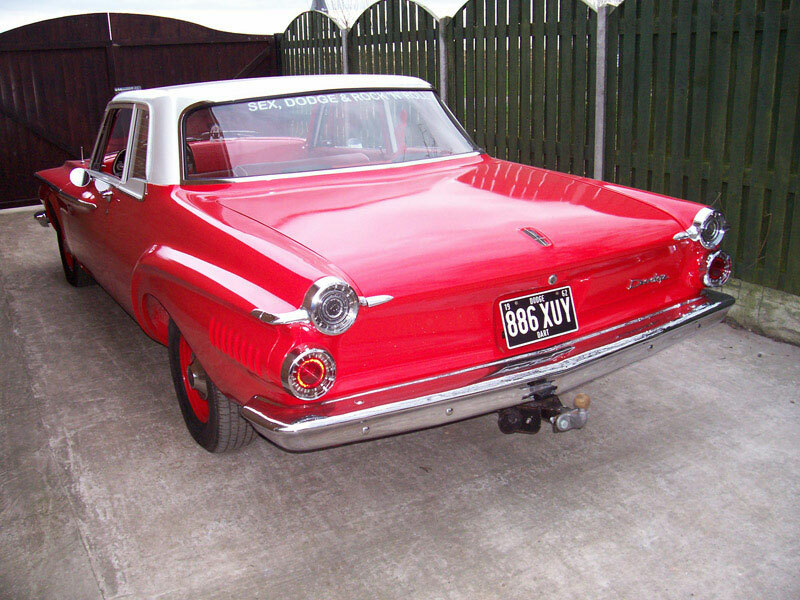 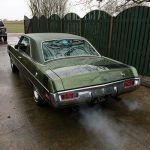 Matt purchased this Dart off eBay as an unfinished project. 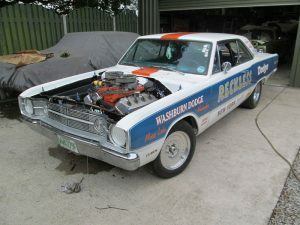 He brought it to Billadeau Speed to sort the wiring, fit the windows & interior and we got the car through an MOT. 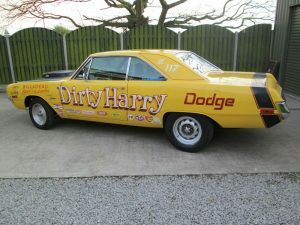 Mark’s Dart came in for us to sort a few wiring faults. 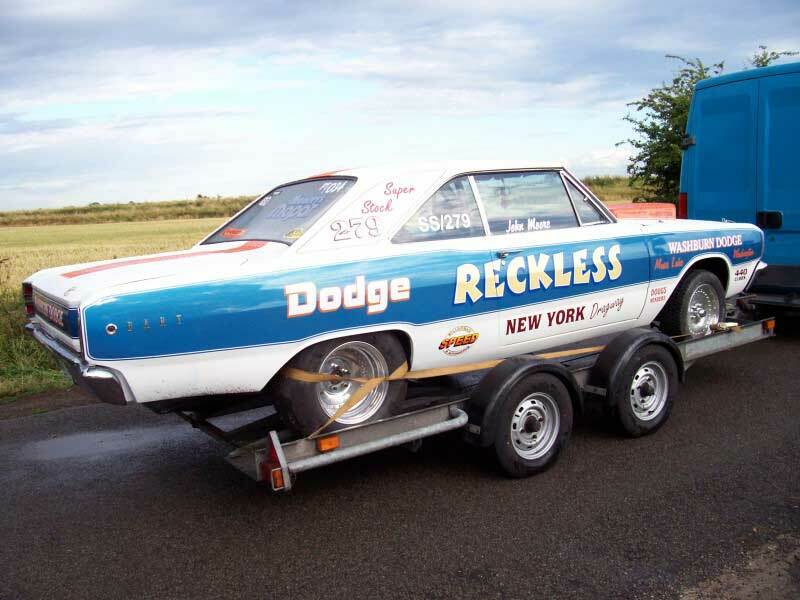 He then entered the American Super Stock series… the 318 motor was soon out in favour of a built 340! 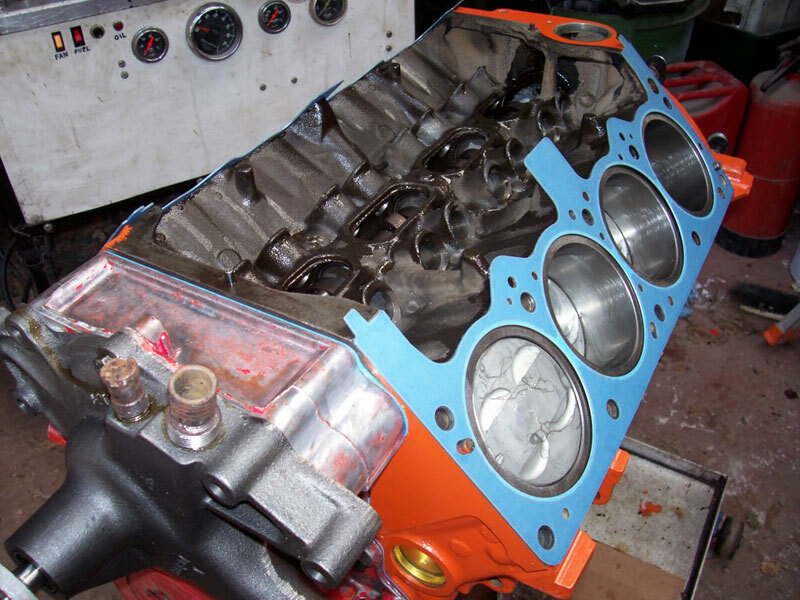 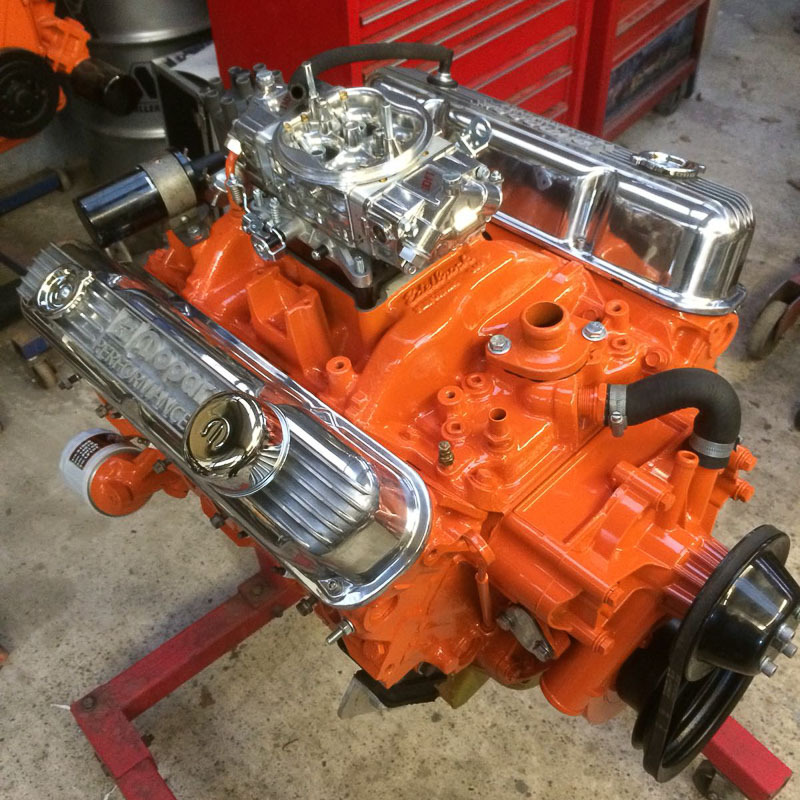 The 340 was rebuilt with Eagle Rods, KB Pistons, iron heads and a Comp Cams hydraulic cam. 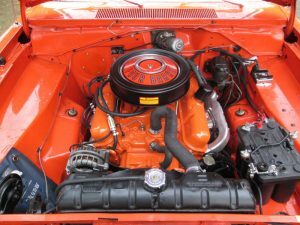 It made 290hp at the rear wheels, so approximately 415hp from the motor. 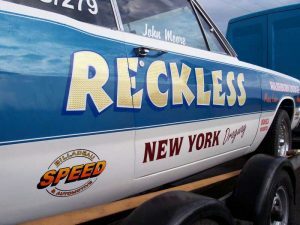 Craig Ainge did another fantastic signwriting job giving the car a true super stock look. A regular American Super Stock competitor, John’s Dart came in for engine work and graphics. 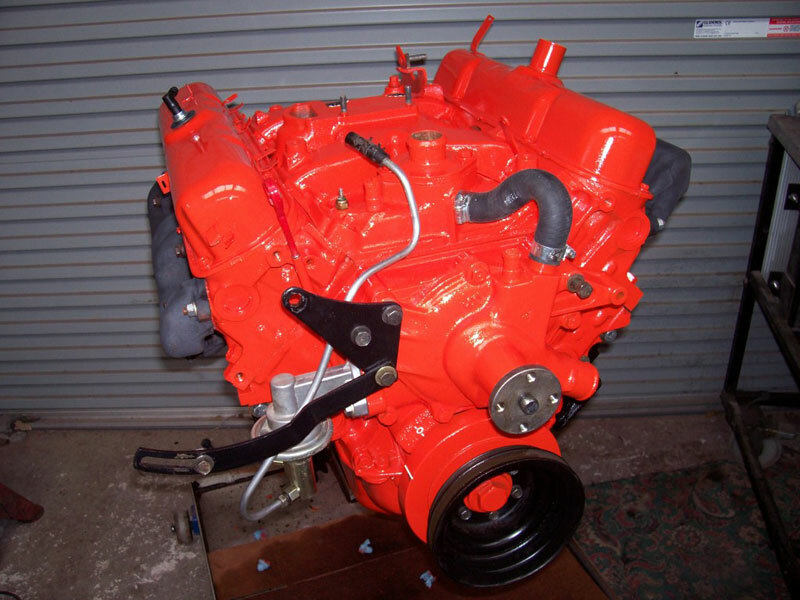 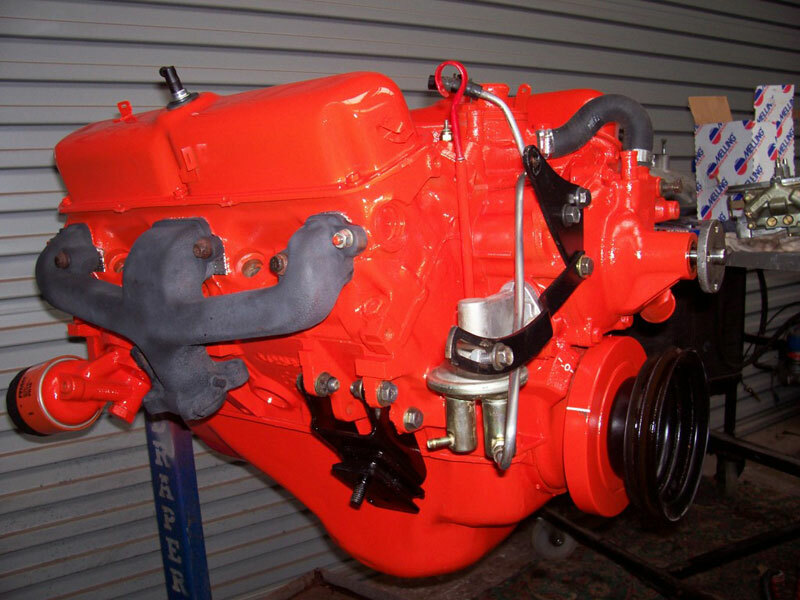 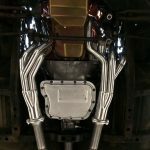 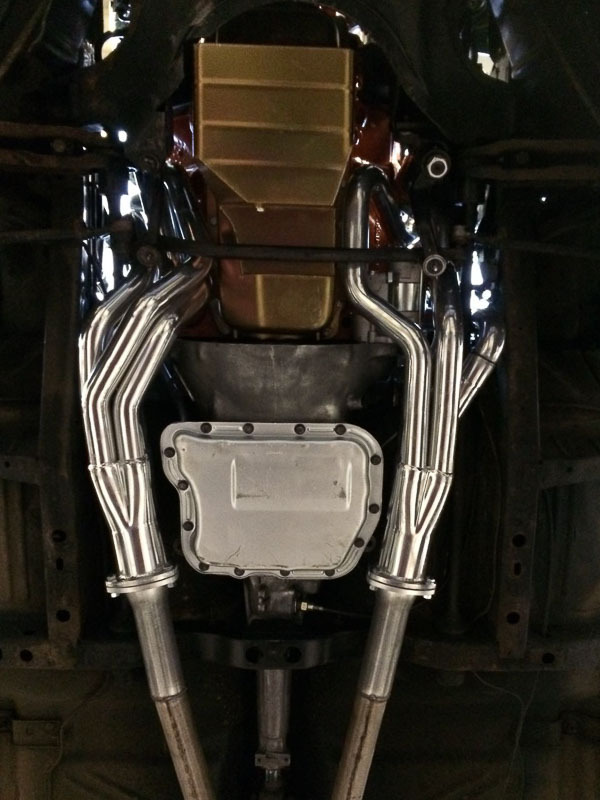 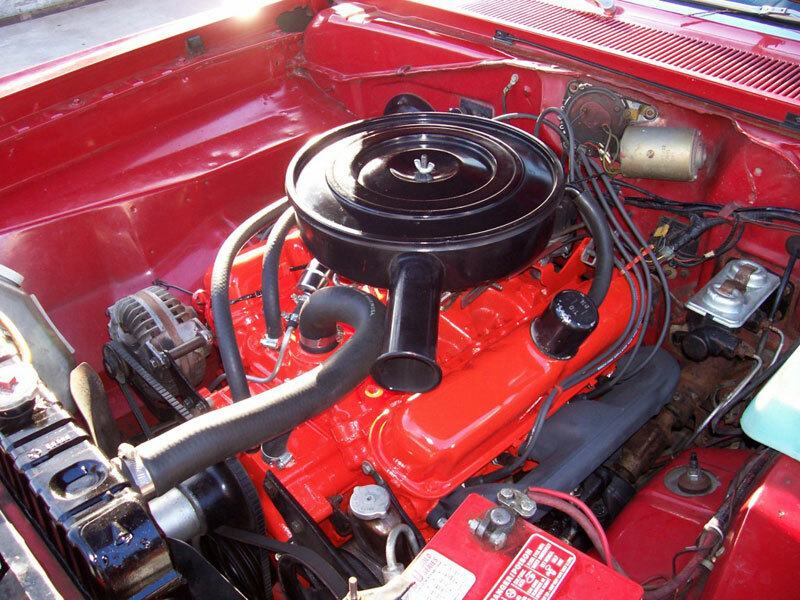 The 440 engine features forged pistons, ported heads and a mechanical cam. 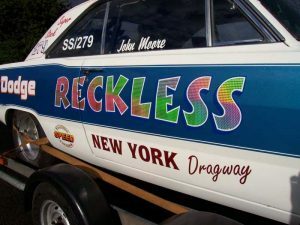 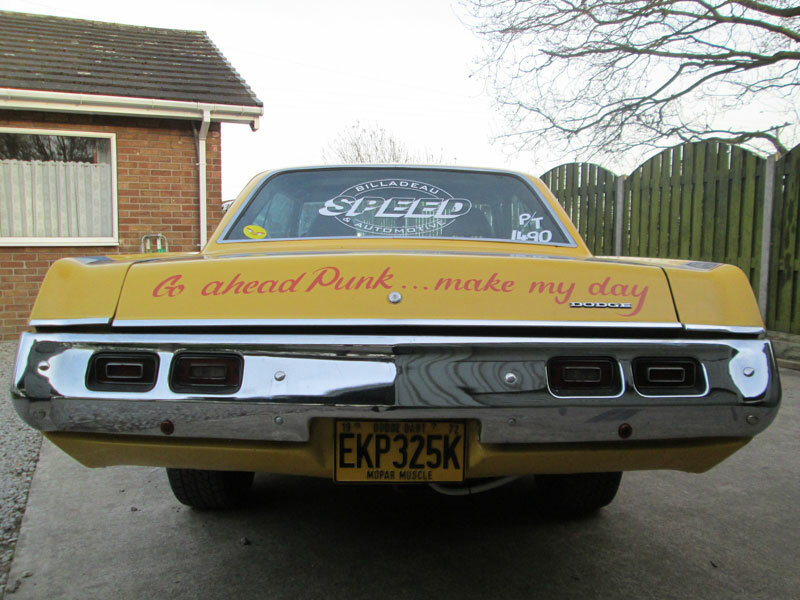 The vinyl graphics bring the car to life with a true Super Stock style. Back again at Billadeau Speed several years later, John’s Dart came in to be fitted with the HEMI which used to power Dave’s Fury. The valve gear was refitted and it was up and running. 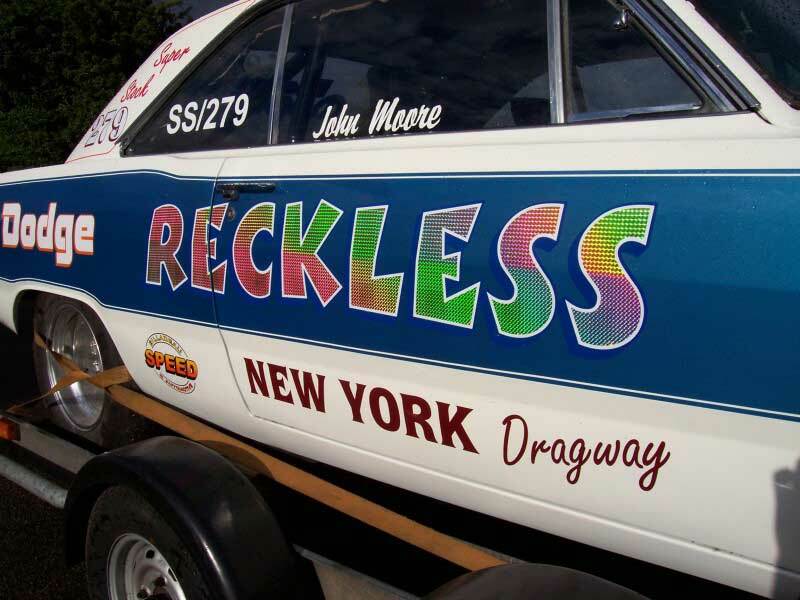 ‘Reckless’ went on to run 11.2s at the 2013 Mopar Nats. 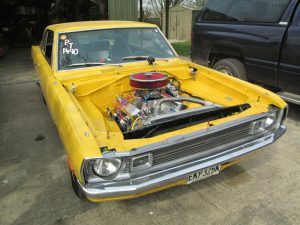 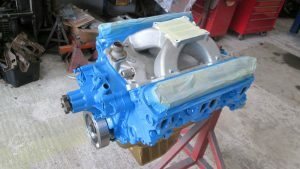 Jon’s tidy Dart came in for a rebuild of its 340 engine. 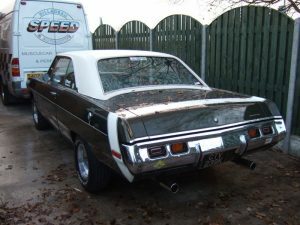 Les brought his Dart to us to solve a number of electrical gremlins. 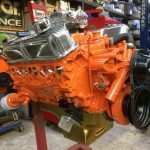 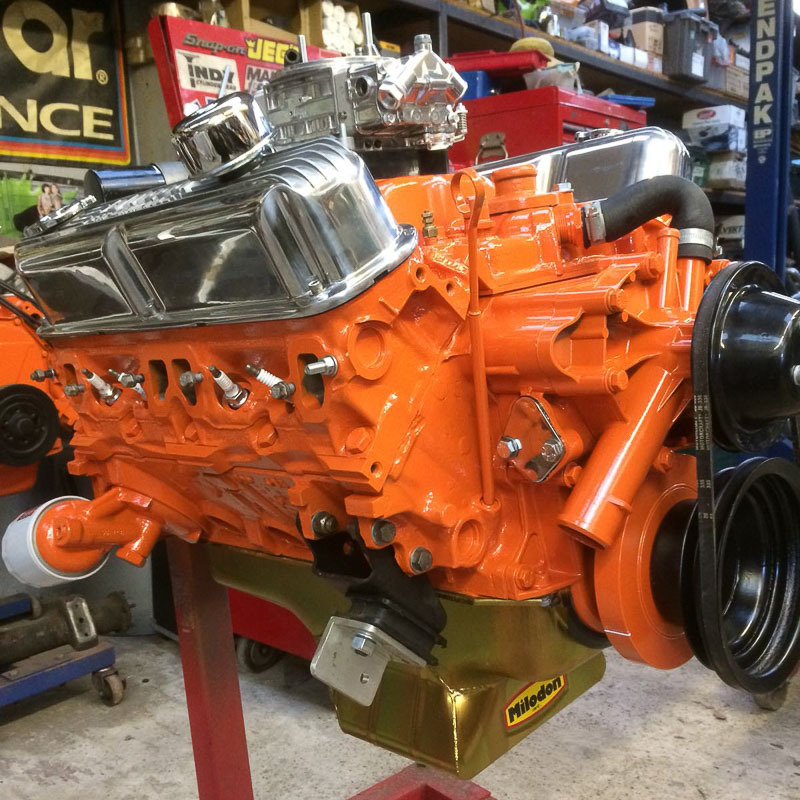 A fresh 273 was assembled to stock specs for Bozzy’s Dart. 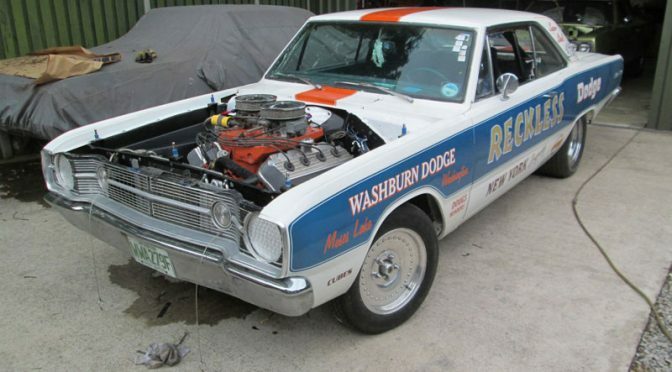 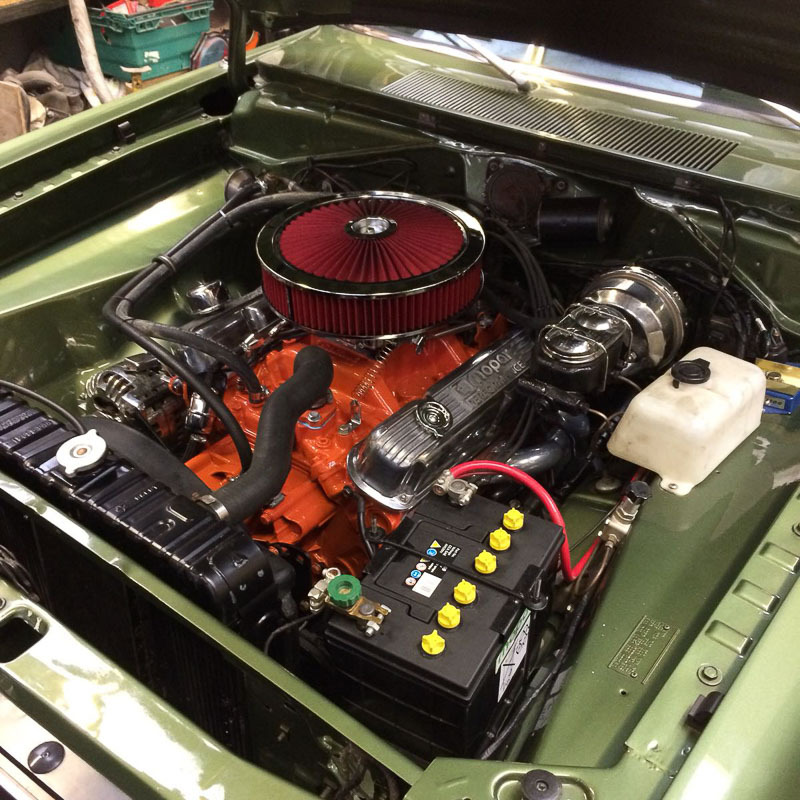 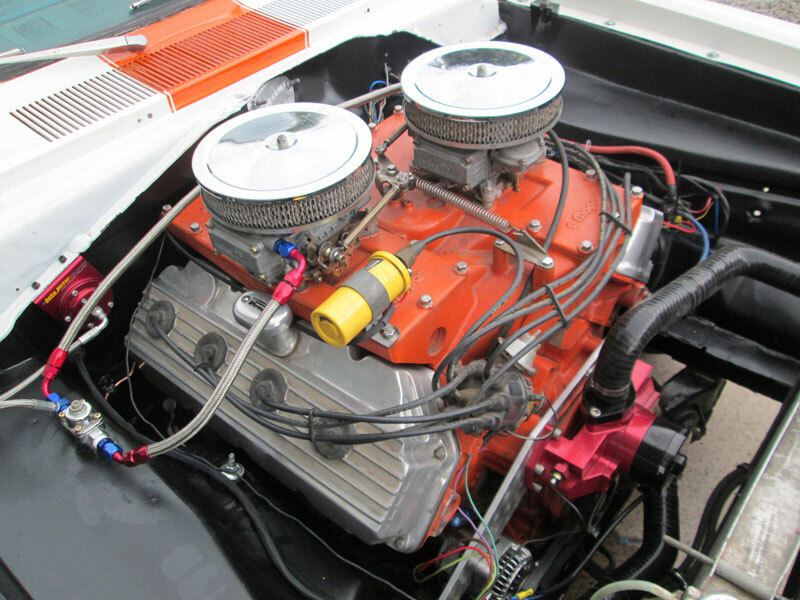 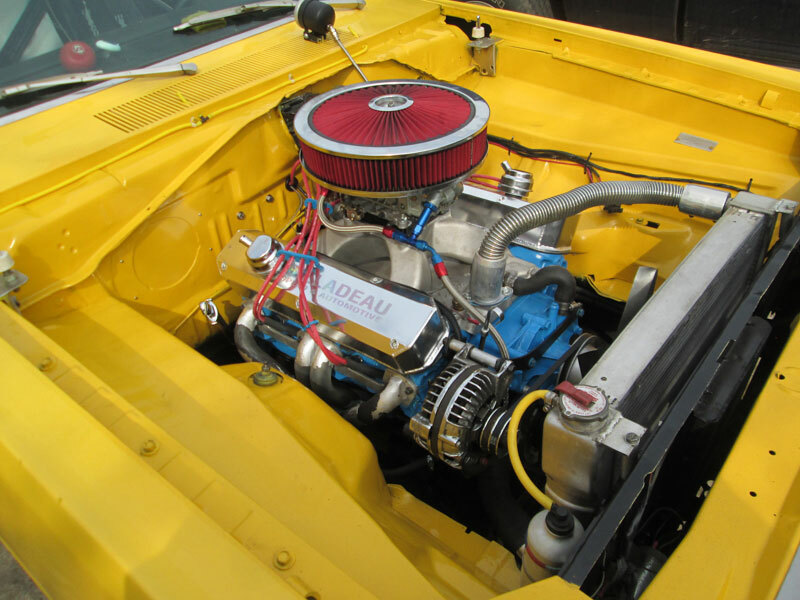 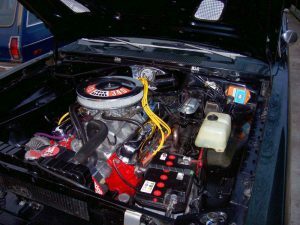 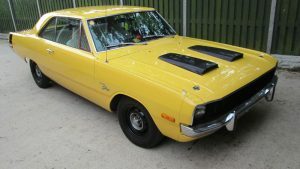 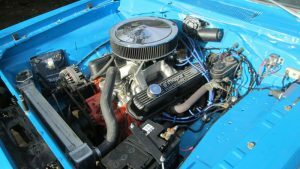 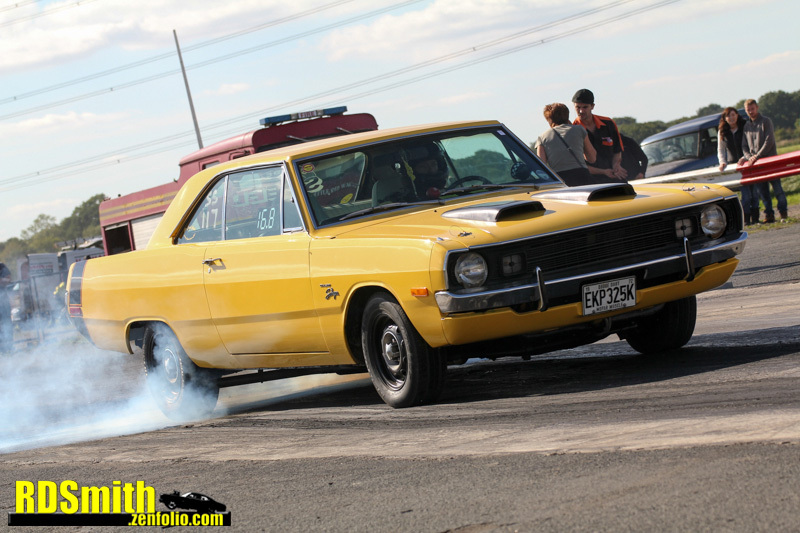 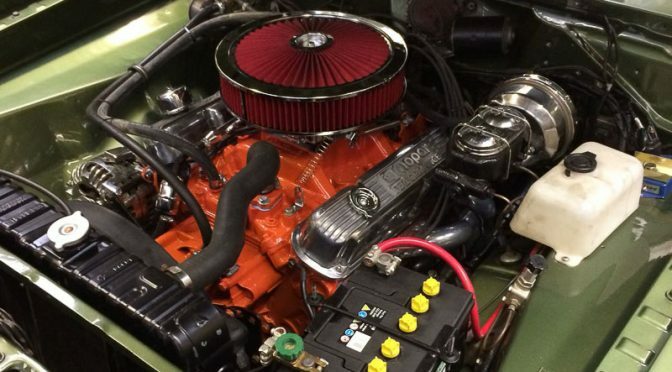 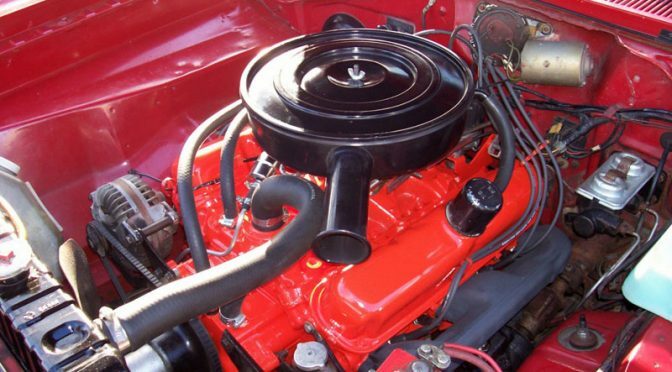 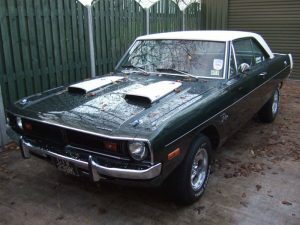 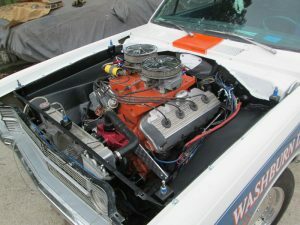 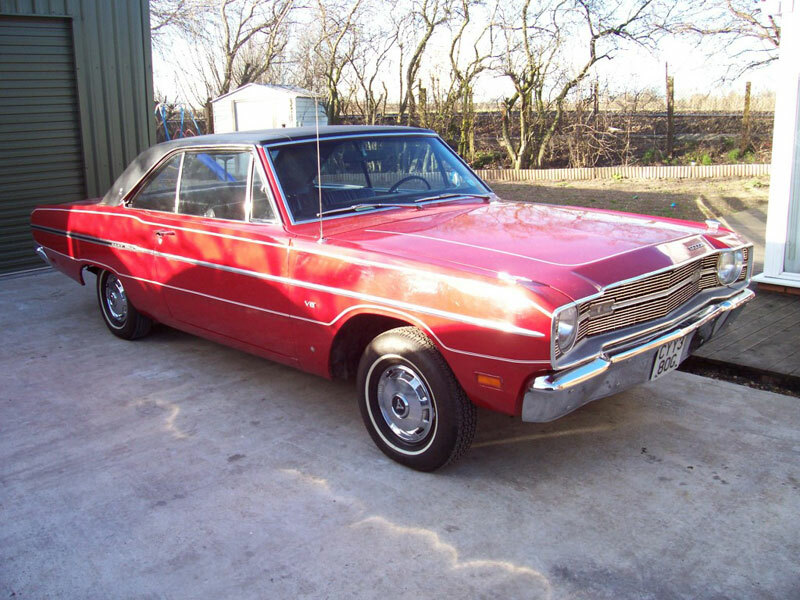 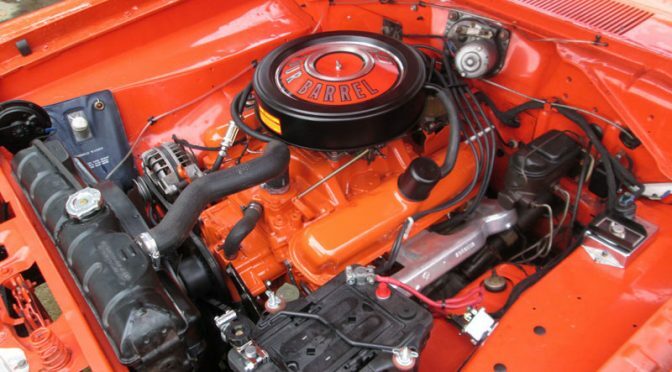 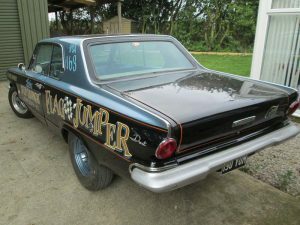 Doug’s Dart was fitted with a B&M shifter, along with a Mopar electronic ignition kit.